Mokuhanga is the Japanese word for the waterbased woodblock printing technique developed during the Edo period. Moku means wood and hanga can be translated as printing. This technique has gained recognition as a flexible and non-toxic method of printmaking for contemporary creative artists. While many international artists now use this technique, it is still difficult to find tools, materials, markets, textbooks and research opportunities related to mokuhanga. The triennial International Mokuhanga Conference was established to address these needs by bringing together printmakers, academicians, researchers and materials/tool makers. The Conference offers a forum for international discussion, and a way for people from different disciplines and different countries to share ideas about this exciting technique, rooted in history, but evolving in new directions that reflect the ideas of contemporary artists. 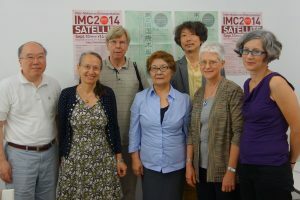 The first conference, IMC2011, was held in Kyoto and Awaji. The second, IMC2014, was held in Tokyo, Japan, hosted by Tokyo University of the Arts (Tokyo Geidai) with Satellite events at the 3331 Arts Chiyoda complex. IMC2017 will be the third conference, held for the first time outside mokuhanga’s home country of Japan. It will be held in Hawaii, USA, hosted by the Donkey Mill Art Center, the home of Holualoa Foundation for Arts & Culture, dedicated to providing art experiences to people of all ages and abilities. 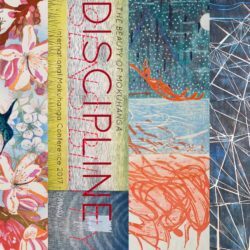 The Center will work with University of Hawaii at Manoa and the Honolulu Printmakers for 2017. The main conference will be in Honolulu on Oahu Island, with Satellite events at Donkey Mill on the island of Hawaii.